Hi, I'm Stephanie Garr. I help pre-teens look and feel beautiful and confident in who they are. When I'm not photographing, I'm playing with play dough and baby dolls with my two sweet little girls. I also enjoy running, playing basketball, traveling, and cooking with my husband. There are so many things to do in June. One of the things I am excited to check out this month is the Lavender Fields. The lavender is at it’s peak in mid June. Cost is $6/person with children 3 and under getting in free. They are open from 9am-5pm Monday-Saturday. Check out their website for tours an other things happening on the far. The butterflies are flying about at Lewis Ginter Botanical Gardens. Cost is $13/adults, $8 Children ages 3-12, and free for ages under 3 and Garden Members. They are open 9am-5pm daily. Butterfly release time is 10am and Saturdays 10am and 2pm. Check out their website to see all the fun and adventurous things going on with Butterflies Live! Do you remember Gumby, slinky, and spirograph? The Virginia Historical Society has toys from the 50s, 60s, and 70s on exhibit. Talk a walk down memory lane and hear about stories from the kids who played with them. Cost is free for VHS members, $10/adults, and free for children under 18. They are open from 10am-5pm. Check out their website for more information, and more things you can discover there. Did you know Richmond has a Shakespeare festival? When I was in college in Southern Utah, my university hosted the Shakespeare festival each summer. It was a wonderful opportunity to experience so many enriching plays. Each night they even performed a Green Show before the main performance in a Globe Theatre replica. Playing at Agecroft Hall Thursday-Sunday June 1-25 is Love’s Labour’s Lost and July 6-30 is Macbeth. Check out their website for more info and to purchase tickets. There’s so many things to choose from. Richmond Family Magazine online is a great resource to check out as well. I wanted to highlight a few and hope you can find time to enjoy them. Leave a comment below if you do check them out and let me know how it was! 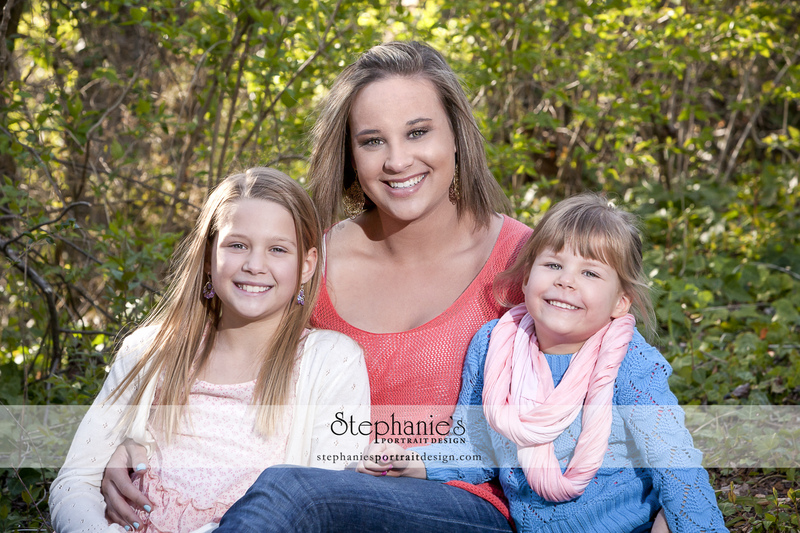 I had so much fun photographing mothers with their children! This year I incorporated something a little special for Mom to remember her children at these particular ages. I love seeing these families grow as the years go by. What amazing and sweet girls these are who absolutely love their mommas! Here’s a little peak at what we created for Mom this Mothers’ Day. So I started this post a day or two before I had our beautiful baby girl (the end of June) and have not returned to it until now. I apologize. Time flies when you are taking care of a newborn, as many of you understand. Even as I type this now, it is with one hand, as are most of my typed communications these days. Anyway, here is the post as was written. Also note, Haley had a beautiful baby girl the end of July. We are so happy for them and their growing family. First of all I want to say a huge THANK YOU to Haley for helping out with the blog the last many months. There have been so many things I’ve wanted to talk about but did not have the time while photographing all of my wonderful clients. She is having a baby in July so will be quite busy with her two adorable children. So I will miss her, but have greatly enjoyed having her on my team. I am also expecting to have this baby any day now that we have been anticipating. Well, baby was due last week, but is not in a hurry, so we are just waiting it out. 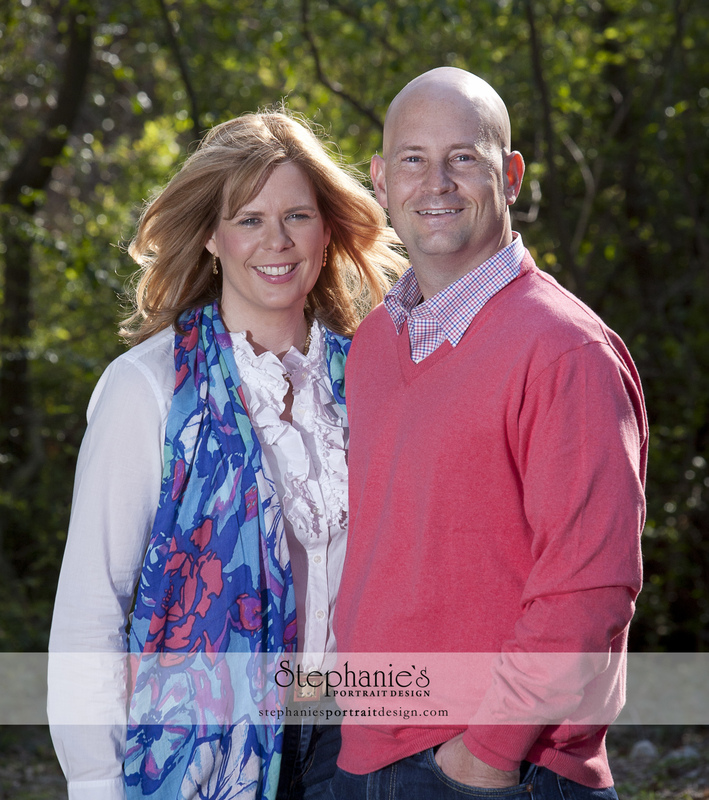 Something I have been wanting to do is feature my wonderful clients on my blog. You all have so many amazing talents and fun things happening in your lives that I would love to share your stories. 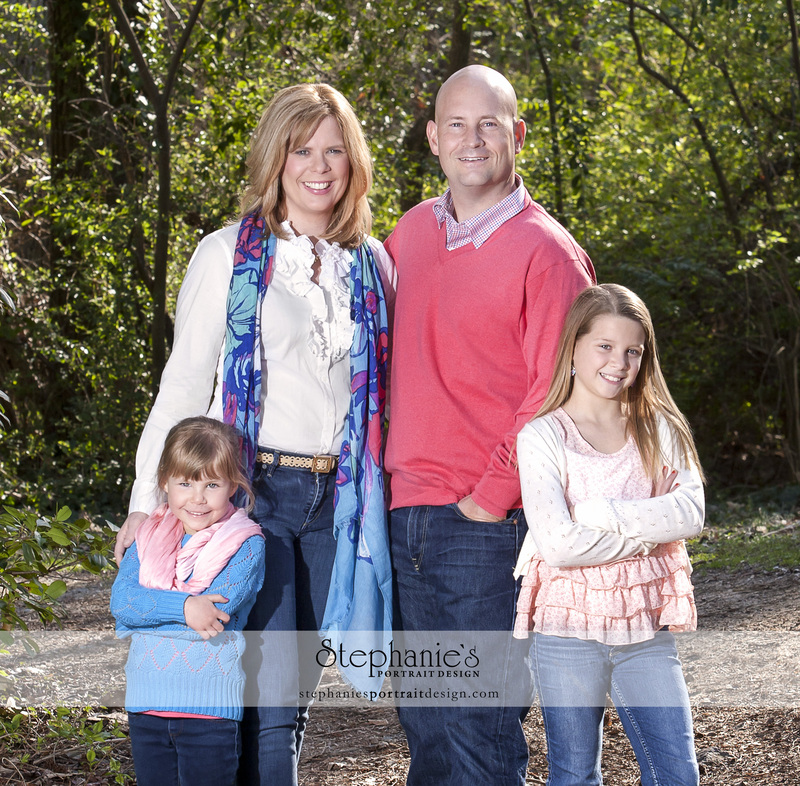 So here is our feature family for the month, the Perkins Family. I hope you get a kick out of some of the fun stories they have to tell. 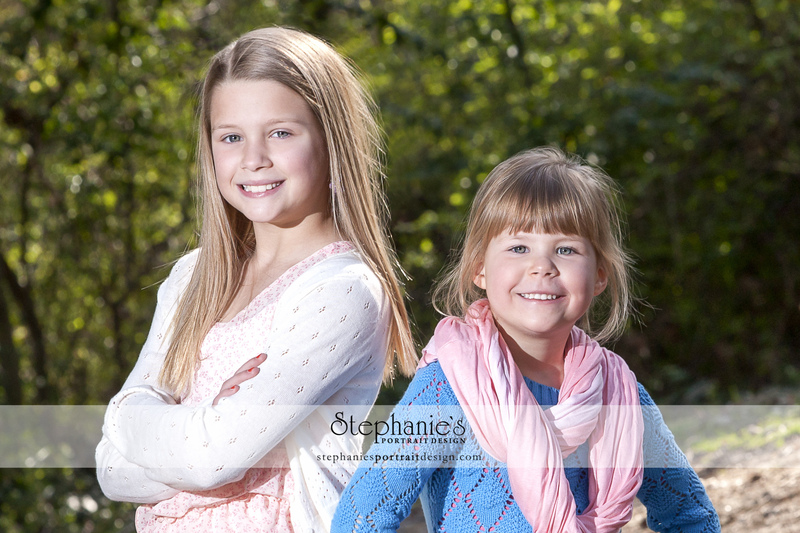 Eric and Chrissie have two beautiful daughters, Alexandra and Madison. They were so much fun in our session. Eric and Chrissie got engaged on top of the Empire State Building, have dined at the Eiffel Tower, and gone scuba diving at the Great Barrier Reef. Eric once matched five out of six numbers in the Virginia Lottery and is a whiz at magic tricks. I know who is going to be the entertainment at our next party. Now if only Eric’s magic tricks could make the baby appear. Together as a family, they like to play tennis, go to the movies, go to Disney World, and Dave and Busters. I think these guys have a lot of fun together. I tried to get them to take me along on one of their next adventures, but I don’t think I was convincing enough. Alexandra is active in competitive gymnastics and tennis. She finished second overall at her biggest gymnastics meet ever in Tampa in February 2013 and won her first tennis tournament in May 2013. Congratulations Alexandra! I am amazed at Alexandra’s tennis skills. I think I should have her teach me because I can not get the ball to land in the court on the other side of the net. Madison dazzled the audience at her first ballet recital in June 2013. She enjoys swimming, ballet, gymnastics, and tennis. And she has a great sense of humor. She kept us all laughing during out session. Both of them dearly love their “third parent” Keri. We had so much fun creating images with Keri in our session. I love the interactions between the three of them. Something that I really admire about Eric is that he co-authored “Richmond-One of America’s Best Tennis Towns” chronicling over 100 years of tennis history in Richmond. The book is a community service project with all proceeds going to the Richmond Tennis Association and has been nominated for a Library of Virginia Literary Award. Visit www.richmondtennis.org for details on how to purchase a copy or just drop by your nearest Barnes and Noble. Really, check it out. There is a lot of great tennis history from here in Richmond. I know, who knew. Okay, you probably did. Chrissie is working toward a Ph.D. in nursing education while also working full-time as a member of the faculty at Bon Secours Memorial College of Nursing. As a busy working mom, Chrissie is still managing to work on her Ph.D. She is amazing. She also enjoys teaching children’s Sunday School and going clothes shopping with the girls. I can just see the three of them out clothes shopping. A fun adventure to be sure. So every child needs a pet and I love the pets in this family. They had a lovely group of Sea Monkeys for about three months and a hermit crab that lasted about two weeks. Now, I don’t know much about Sea Monkeys or hermit crabs, but they seem like fun pets to me. I am a fan of thinking outside of the box. Eric is a business attorney with Perkins Law, PLLC (www.ericperkinslaw.com). He focuses on business startups, acquisitions, and other business transactions and compliance, franchising, capital raising, and nonprofit organizations. His clients include entrepreneurs, executives, accountants, financial advisors, engineers, architects, physicians, real estate sponsors, and professional wrestlers, among others. He is also chair of the national tennis rules and regulations committee for the United States Tennis Association. It has been fun getting to know this family and I am grateful for the honor of creating timeless memories for them to cherish as the girls get older and they continue to have more and more adventures. Thank you to you all for allowing me to share your story.